Most young knowledge warriors charge straight at whichever field their best teacher from high school or college was from, certain that their initial passion will never wane. Yet talk to these firecrackers seven years later and notice how many grad students have lost that spark. What once was a tantalizing realm of puzzles and mysteries becomes a never-ending cycle of mundane tasks. Science can certainly be a cruel succubus, but considering one important feature of a field before hopping on the bandwagon can help avoid this. The key is to compare the current set of ideas with the potential for developing new ones given available data, tools for acquiring data, and culture. 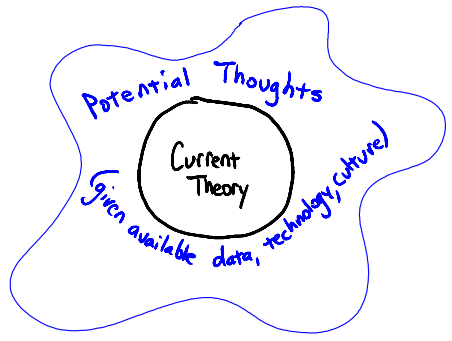 Too little new available data, too few tools for acquiring data, or cultural norms that enforce old paradigms can all hinder the potential for interesting projects. Quantum gravity might be an instance of the first two shortages whereas 16th century astronomy (influenced by the church doctrine of a geocentric universe) is a good example of the last. Let’s call these saturated fields. On the flip side, an abundance of data, the invention of tools for acquiring new data, or changing cultural norms can all provide opportunities for great projects. Genomics is experiencing the first two surpluses whereas complex systems research in the early years of the internet (and the metaphors about networks that accompanied it) probably benefited greatly from cultural shifts. Let’s call these ripe fields. Your mission, young sailor of the scientific seas, is to find one of these gems. Researchers still identify themselves with another more traditional field and just list this one as an "interest." It attracts researchers from many different backgrounds and much of the work done is considered "interdisciplinary." A new institute pops up every week or so. A large percentage of new papers all reference one or a few papers written in the last five years. The introductory textbooks were all written in the last few years and there is no consensus on which is best. A large percentage of new papers are written to make small corrections on old ones (the field has become recursive). There are introductory textbooks in their twelfth edition and most professors use the same text to teach as they did to learn. I’d wager quantum computing and neuroscience are ripe for the picking. Which fields would you add? 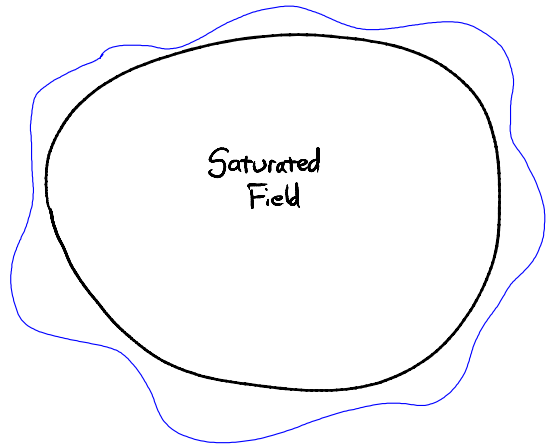 And which criteria for identifying ripe and saturated fields would you use?